This article was originally published online at digitaldealer.com and in the March 2019 edition of Dealer Magazine. The Race to Be "More Like Amazon"
Dealerships have failed to equip their sales staff for this changing environment and are now coddling inefficient, underequipped sales teams. The problem with this is the closer the dealer is to being "more like Amazon", the easier they are to disrupt. Amazon is a lot better at being like Amazon than the auto dealership. Big tech can spring up an Amazon-like business model faster and more efficiently than an auto dealership can without the baggage of a bloated business model. 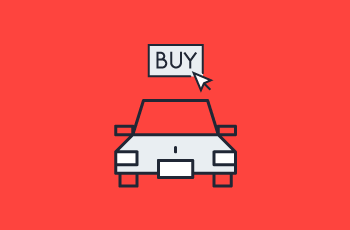 In a world where cars are sold online, there will not be thousands of dealerships. Period. Contributing to the blindness of the auto dealership is the fact that a clear disruptor has not yet emerged. Carvana is doing interesting things but they are refining their business model in 100% used vehicles (which is smart). Dealerships feel protected by legislation, powerful special interests and franchise agreements; however, as we saw with Uber and taxis, these protections only last until it makes sense to get rid of them. It will make sense when a disruptor emerges. Think what you will about the car dealership, if auto dealerships die, we will usher in a scary economic time America is not ready for. And I don’t believe it’s too late for the dealership, but I believe they must act quickly and efficiently. I will see many of you at NADA this year (at our booth or my speaker session) and walking the floor of NADA the buzzwords will be about AI. We love AI and use it ourselves in parceling out the real sales prospects from all the phone calls, forms and chats a dealer receives and in building individual vehicle of interests for a consumer; however, AI needs to be used for targeted work. Right places: Making people smarter. Managing repetitive tasks. Wrong places: Situations requiring empathy. Scenarios where new problems emerge. Understand that you can be and need to be better. Disrupt your own organization before someone else does it for you. If you need to a lesson in how to manage this process, I learned this incredible exercise a few years ago for ways to find quick, creative and disruptive wins to build a better customer experience. I shared this exercise at my NADA session and I'm happy to share it with you too, if you send me an email at dave@adpearance.com with "NADA exercise" as the subject line. The exercise changed my life and has been instrumental in identifying areas where we can significantly improve our process and experience. I think you will find it helpful as well. Ready to drive change this year?